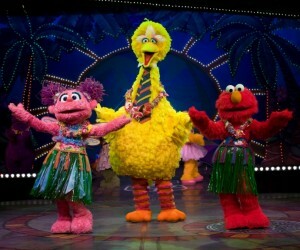 Big Bird does the hula with friends Abby Cadabby & Elmo in “1-2-3 Imagine!” Photo courtesy, Sesame Street Live. 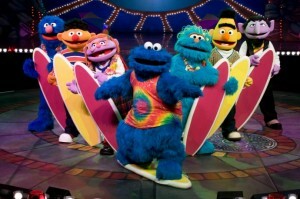 Sesame Street Live returns to Maui July 29-31, 2011 at the Castle Theater. The show, “1-2-3 Imagine!” is a musical that takes children on an adventurous journey of imagination. 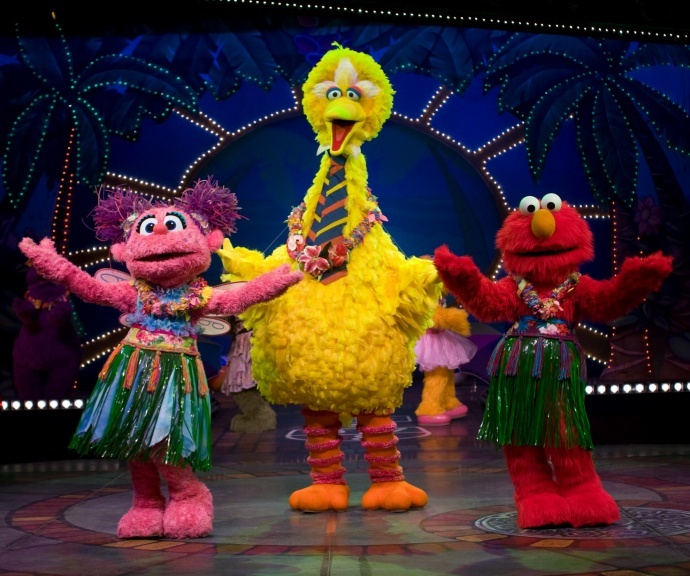 Favorite friends, Elmo, Abby Cadabby and Big Bird will be around to teach children that they can be anyone, do anything and go anywhere with the power of their imagination. The production transports audiences to faraway places as Ernie captains the high seas, Elmo dances to the rhythm of the African rainforest and Bert meets an octopus who has the blues. 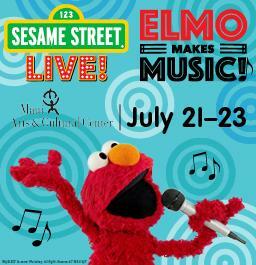 Shows are Friday July 29 at 7 p.m.; Saturday, July 30 at 10:30 a.m., 2 p.m., and 5:30 p.m.; and Sunday, July 31 at 1 p.m., and 4:30 p.m. at the Maui Arts & Cultural Center. 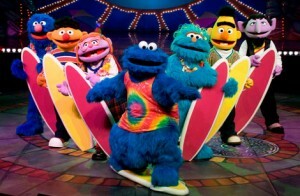 Elmo’s Friends are on a Surfin’ Safari in “1-2-3 Imagine!” Photo courtesy, Sesame Street Live. 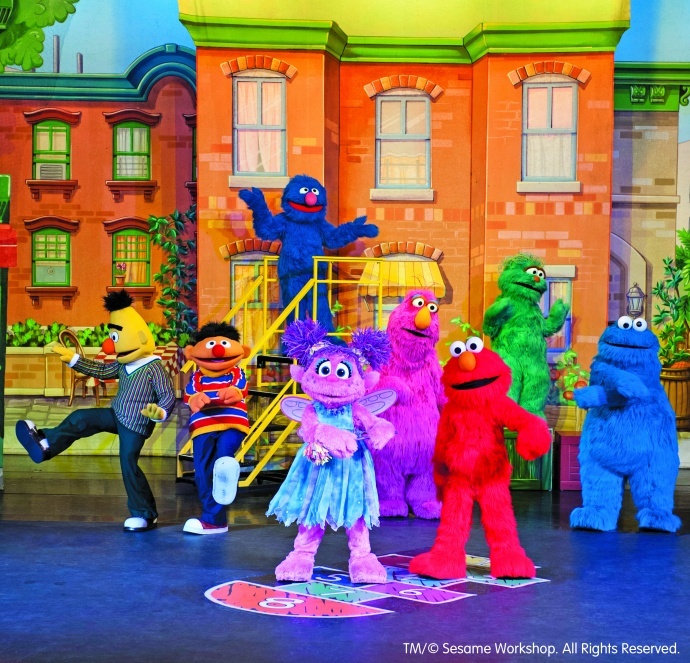 Ticket Prices are $10, $20, $33, $48; and $73 for Sunny Seats that includes a VIP seat and pre-show meet and greet photo opportunity with two Sesame Street Live Friends. (Bring your own camera). An additional facility fee and service charges may apply to tickets. Sunny Seats are not available for purchase online. To buy tickets, visit mauiarts.org, stop by the MACC Box Office, or call 808-242-SHOW. *** Supporting information courtesy Maui Arts & Cultural Center.